New! Great layout! You will be impressed! Come and inspect this modern, new and spacious four bedroom, two bathroom house. It is complimented with, air conditioning and ceiling fans, full European appliances and 9 foot high ceilings give you a big and open feel. Laminate Oak flooring through all living spaces with carpet to the bedrooms. Full Security Screens and blinds. Rear Patio/Alfresco area. Well designed kitchen with servery bench and full walk-in pantry, dishwasher all with an open view to the large family and dining. 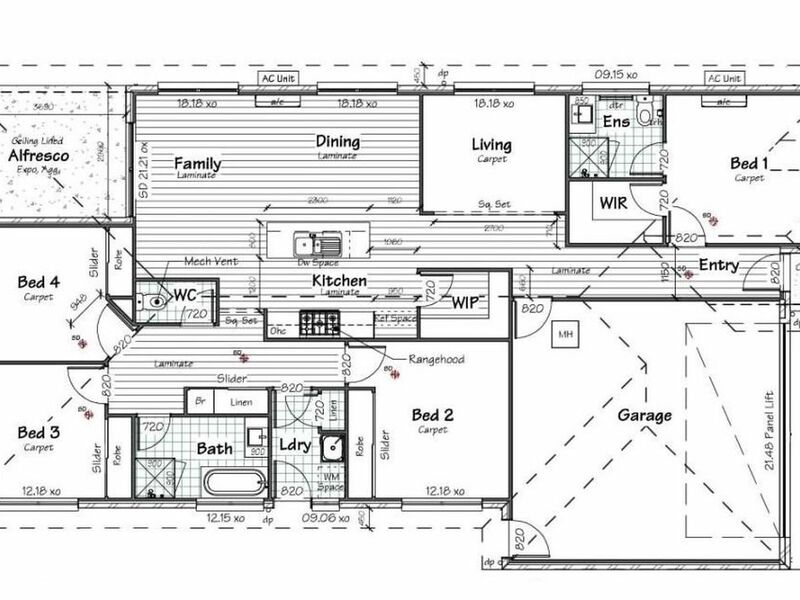 Additional living space with separate living/lounge. The Garage is large double and remote controlled. The is a great new estate with a lovely feel. Each home we offer to the market is generally snapped up very quickly. Watch our walk through video. Arranging an inspection is easy. Just email or call our office and we will arrange a time to suit you.